‘Bachelor’ Alum Selma Alameri Marries Patrick Daniels in ‘Perfectly Uncomplicated Wedding’ — Plus, See Her Massive Ring! I get to love him forever and ever! Sorry guys- last one I promise! ❤??? Perfectly uncomplicated, with a whole lotta bling! 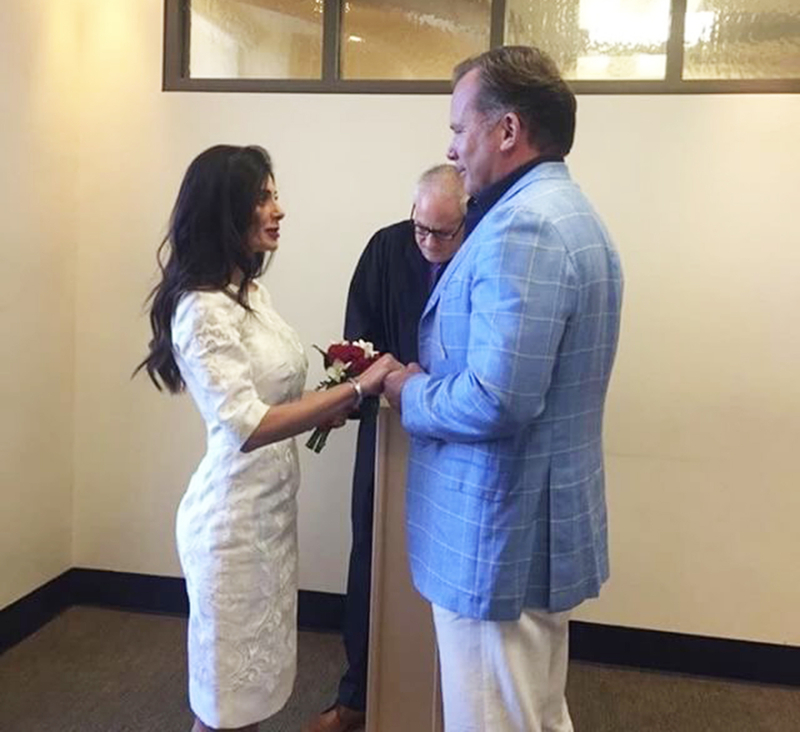 Season 17 Bachelor contestant Selma Alameri said “I do” to her fiancé, Patrick Daniels, in San Diego Thursday, December 29. The former reality star contestant, who competed for love on Sean Lowe’s season and famously refused to kiss the former bachelor, tells Us Weekly it was the “amazing, perfectly uncomplicated wedding” of her dreams. "I have to say, my favorite moment was hearing him say his vows to me. At that moment, it finally started to feel real to me,” she said. The couple opted for City Hall after their family members got too involved in the wedding planning. “Everyone got involved and had an opinion and the family started to argue — we really didn&apos;t want all that, we just wanted a peaceful, comfortable and smooth wedding,” Alameri, who wore a chic white dress for the big day, explained. Instead of spending money on a big blowout wedding, Alameri says they&apos;ll splurge on an “amazing honeymoon" in Europe. “That, to me, will be more memorable,” she told Us. Daniels proposed to Alameri in June with a stunning diamond ring. “He promised me forever!! ❤️珞 #mybestfriend #MrsDaniels,” she captioned an Instagram of her giant diamond ring on June 27.